Offense: Florida State has had a very good offense, that is, when healthy. Junior quarterback EJ Manuel is the leader of the group, as he has passed for 16 touchdowns despite missing considerable time due to injury. His top receiver is freshman Rashad Greene. A possession receiver to watch is Rodney Smith, who is the leading receiver with 527 yards. Florida State will have to run the ball to be effective and much of that burden falls on RB DeVonta Freeman. The freshman averages 5 yards per carry. This is a young Florida State offense. Look for this to be a springboard to 2012. Notre Dame has an offense that has really struggled towards the end of the year. There is instability at the quarterback position as both Tommy Rees and Andrew Hendrix will likely see snaps. Rees has played much more, but is also more prone to turning the ball over. RB Cierre Wood has had a very good year for the Irish. He will need to step up against a very, very good Florida State defense. NFL prospect Michael Floyd has had another expectional year, with 1106 recieving yards. The Irish will need some big plays to win this one. Defense: Florida State has a fast, aggresive defense that will look to stop the Notre Dame offense. They give up just 15.2 points a game. LB Nigel Bradham is a leader on the team, which had 4 times given up 7 points or less. Up front, DE Bjoern Werner is a force. The other DE, Brandon Jenkins has 7 sacks on the season to go with Werner's 6. In the secondary, the Seminoles are led by safety LaMarcus Joyner, who leads the team with 3 interceptions. Notre Dame's defense is the strength of the team, giving up just 20.9 points a game. Highly touted linebacker Manti Te'o anchors the defense, both physically and emotionally. He has 115 tackles on the season. Freshman DE Aaron Lynch is a force on the edge and will be expected to get pressure on EJ Manuel. Safety Harrison Smith, has 0 interceptions, but has 10 pass breakups and is the second leading tackler for Notre Dame. The pick: I like Florida State to win this game. I expect a somewhat low scoring game, but I think the Seminoles defense is too good for what is currently an anemic Notre Dame offense. If you agree or disagree let me know why by tweeting me @bowlseason or emailing me at ryzim22@yahoo.com . I'll post them if you send them. We picked Florida State to win. We are now 8-5 on the season. Garry Smits, of the Florida Times-Union, answered some questions for us about FSU. BS: The Seminoles were ranked in the top 5 in the country, but finished 8-4. How would you rate this season compared to preseason expectations? Garry Smits: First of all, I think the preseason projections were way too high. I think a lot of AP voters thought that last year's 10-4 season showed an acceleration of the process Jimbo Fisher was going through to get the team back to the national picture and they forgot that Fisher still had a lot of juniors and seniors who were part of sub-par recruiting classes in Bobby Bowden's last two years. 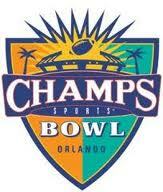 That said, the Seminoles still should have won their division and gotten to the ACC championship game. They would have, if they had held Wake Forest below 30 points and scored more than 14 against Virginia -- at home. BS: The offense has had some success, particularly in the passing game. How would you rate QB EJ Manuel's first season as the full time QB and who are his top weapons? Garry Smits: EJ Manuel had a pretty good year considering his shoulder injury against Oklahoma. He's got all the tools and certainly has the size. I think he also benefited from coming off his first spring practice in which he was healthy. Manuel did not participate in the first two springs as an FSU player because of injuries and I think it helped him a great deal getting ready for this season. Manuel's best weapon early was freshman wide receiver Rashad Greene. Greene made up for the loss of Taiwan Easterling to pro baseball. The Seminoles had other issues at wide receiver, such as losing Willie Haulstead for the season due to a concussion. Bert Reed, Christian Green, Kenny Shaw and Rod Smith were more possession receivers than deep threats. BS: The defense has been absolutely suffocating, giving up only 15 points a game. What makes them so successful and who are the key players? I thought cornerback Mike Harris was very underrated. Garry Smits: The one breakout player I would watch for might be tight end Nick O'Leary. FSU didn't utilize him as much as they should have. He's a great combination of size, speed and hands and they might take the training wheels off and finally throw to him. Allan Jospeh, sports editor of The Observer, was nice enough to answer some questions for us. BS: The Irish managed 8 wins this year in a season that many though would end up in a BCS game. How would you rate this season overall compared to pre-season expectations? Allan Joseph: It's definitely fair to say this season has been a disappointment, but it's a little more complex than that. Looking at the schedule at the beginning of the season, it seemed the Irish should earn 10 wins. USC and Michigan seemed to still be rebuilding, and Stanford looked like the only team with more talent than Notre Dame. Now, it's still probably fair to say that Stanford was the only team that was significantly more talented than Notre Dame, but USC and Michigan ended up having far better seasons than expected. Still, the Irish definitely gave away the first two games of the season, and 8 wins is at least two too few. BS: The offense seems to be in disarray at this point. The quarterback situation does not seem good and the team turns the ball over too much. What are your observations on the offense and the quarterback position? Who do you think gets the start in the bowl game? Allan Joseph: The offense is immensely talented, but Tommy Rees had a penchant for turning the ball over. The Irish had a really great year running the ball — Cierre Wood went over 1,000 yards, and senior Jonas Gray was on his way to doing so before tearing his ACL against Boston College. The passing game was a little shakier. Michael Floyd had a stellar year, and tight end Tyler Eifert really broke out as a huge talent. But aside from that, the rest of the receivers were just mediocre, and Rees was too turnover-prone. I think Andrew Hendrix gets the start in the bowl game. He has all of the tools needed to be a great quarterback in Brian Kelly's system, and he really has to be the future of the program. Kelly will be looking towards the future, and Hendrix is the most obvious way to do so. BS: The defense has done very well, giving up just around 20 points a game. Who and what makes this defense so successful? Allan Joseph: Junior linebacker Manti Te'o earns a lot of the headlines, and rightfully so. Te'o is the emotional and mental leader of the defense, and nearly everything revolves around him. Less well-understood, however, is the performance of the defensive line. After losing the three upperclassman starters to injury at various points, freshmen Aaron Lynch and Stephon Tuitt and sophomore Louis Nix have arguably played better than the older guys. The youngsters were expected to see some playing time and play well, but they've really turned a lot of heads. If they work hard and avoid injury, they could be downright scary in the future. Allan Joseph: I think you'll see one of the young defensive ends, Lynch and Tuitt, have a big game. That type of performance will be a great springboard into a challenging 2012 season for the Irish.